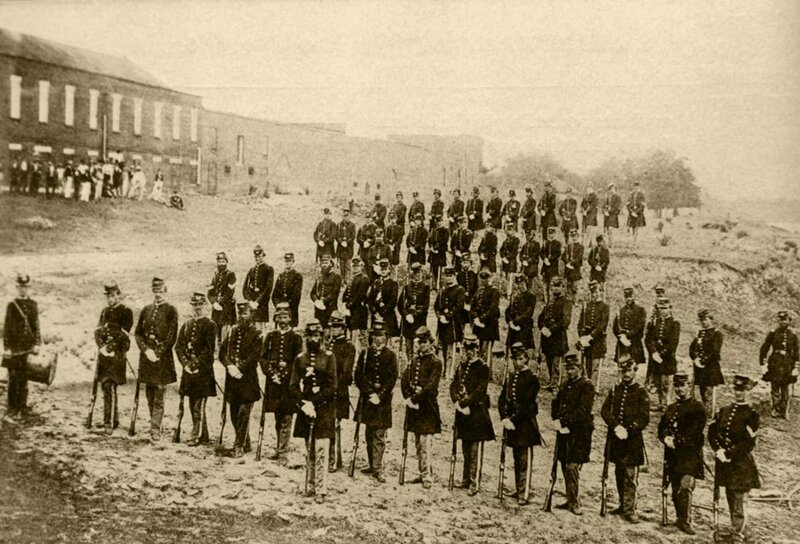 In 1861, prior to the secession of the eleven southern states, there were 16,000 men in the United States Army. Many left the federal service to form the core of the Confederate forces and some of America’s greatest military officers joined the South in its quest for independence. Among the most brilliant and revered were Robert E. Lee, George A. Pickett and J.E.B. Stuart who would become Confederate Generals. While West Point in the North graduated military officers for the US Army, the Citadel in Charleston, South Carolina and the Virginia Military Institute in Lexington prepared their cadets for leadership in the new Confederate Army. A war between states was expected to last, at most, three months. 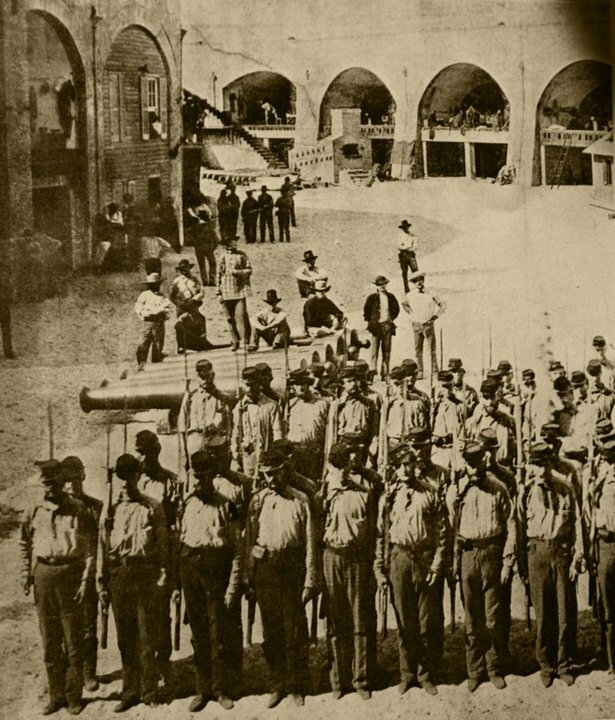 On February 28, 1861 the Confederate government authorized up to 100,000 men for twelve-month enlistment. After the attack on Fort Sumter in April 1861, President Lincoln asked the loyal states for 75,000 volunteers for three-month service. In May 1861, President Abraham Lincoln called for an additional 42,000 volunteers and Confederate President Jefferson Davis another 100,000. Established state militias were the first to answer Lincoln’s call. New volunteer regiments were formed locally by town notables who often became colonels and other officers of these regiments. In some instances the officers were simply elected by the men. They, like their conscripts, were not professional soldiers, but citizens who would soon become engaged in the great American tragedy. There were about 1,000 men in each regiment which was divided into ten companies of ninety-seven men and three officers. Regiments were formed into infantry, cavalry and artillery units. The volunteer state regiments typically had distinctive regional or ethnic origins. 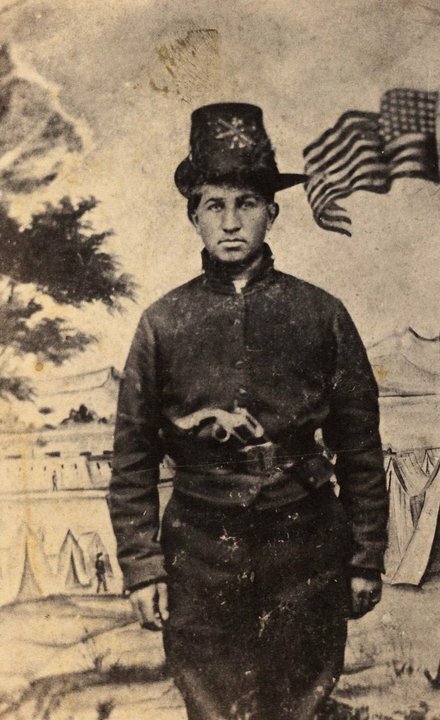 European immigrants were enlisted for the fight on both sides. In the Union the majority were from Germany (177,000) and Ireland (145,000). Union forces by 1865 also incorporated 180,000 African Americans. About 28,700 Native Americans fought on both sides. In the Confederacy 25,000 Irish fought in various state regiments. Seven Union and six Confederate generals were born in Ireland. 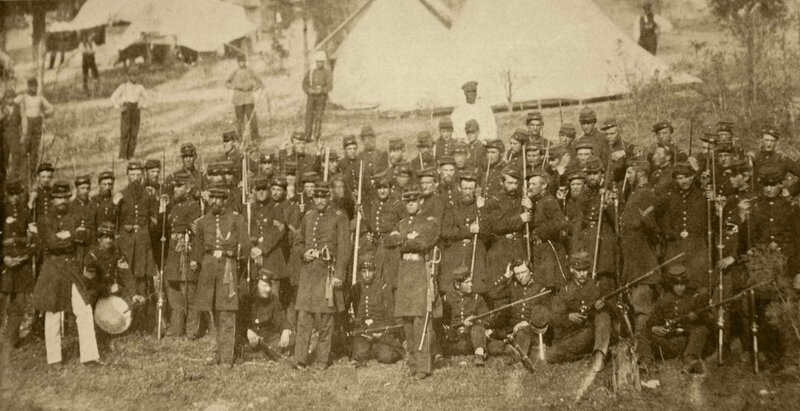 The famed ‘Irish Brigades’ present in both the Union and Confederate armies, at times, battled each other. The only way to identify a regiment on the battlefield was by its unique flag. The job of carrying the flag was critical and when the flag-bearer went down another proudly picked up the banner. Medals were given to those who saved a unit flag or captured an enemy flag. The major battles of 1862 showed the citizenry that the war was a deadly and horrendous effort. The casualty count of the major 1862 battles were: Seven Pines 13,700; Shiloh 23,740; Second Bull Run 22,180; Antietam 23,100; Fredericksburg 17,900; and Stones River 23,500. In 1863, to provide troops for the bloodbaths of the war Congress enacted draft laws. In many localities protest riots took place, notably in Detroit and New York City. Over 120,000 avoided conscription, many by moving to Canada. 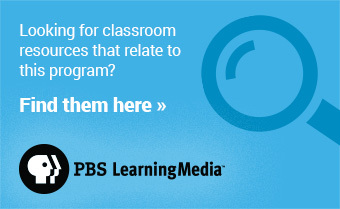 It was also possible to avoid the draft by paying for a substitute. By the spring of 1865 about 2.1 million would serve in the Federal Army and about 880,000 in the Confederate. 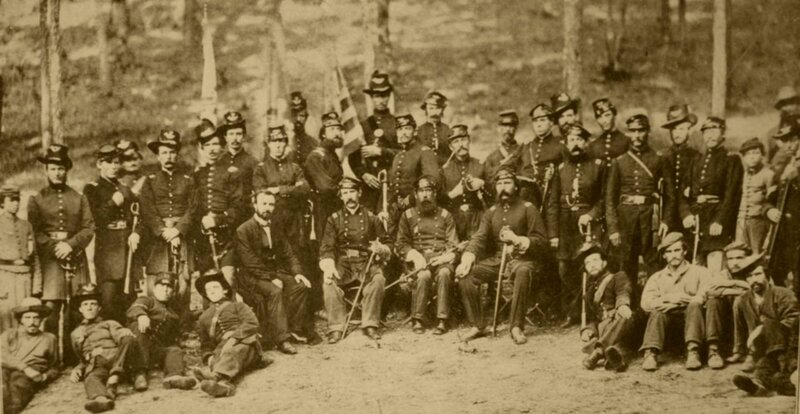 Most of the servicemen were volunteers in state or in special US units; only three percent of Union troops were in the Regular US Army, which supplied the commanding generals to the state units. By the end of the war it is probable that the Union Army with its new repeating rifles and Gatling-style machine guns could have defeated any European country on the field. Napoleonic charge tactics, the mainstay of European army philosophy, had evolved in America into guerrilla and trench warfare; a lesson not learned in Europe until World War I. American soldiers came home to a new nation dramatically changed by the conflict, ready to participate in Western expansion and modern industrialization that, within a few decades, would make the United States a world power. 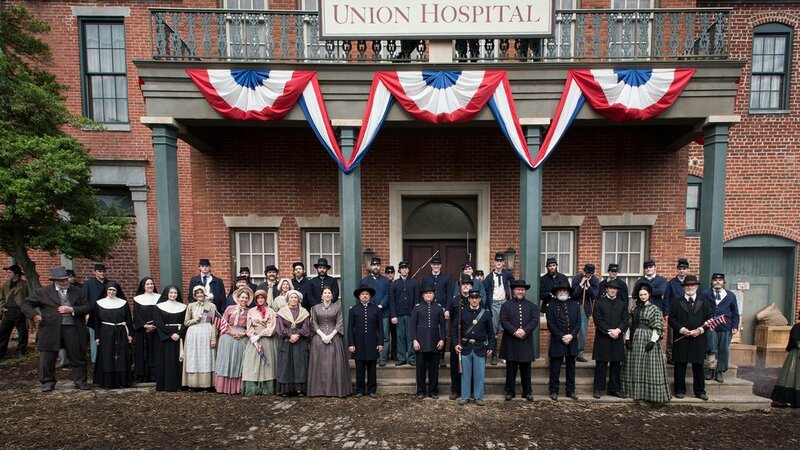 At Mercy Street’s Mansion House Union Hospital soldiers from both the Union and Confederate Armies are treated. Patients include men from the Union’s 1st Delaware and 2nd Maryland out of Baltimore. 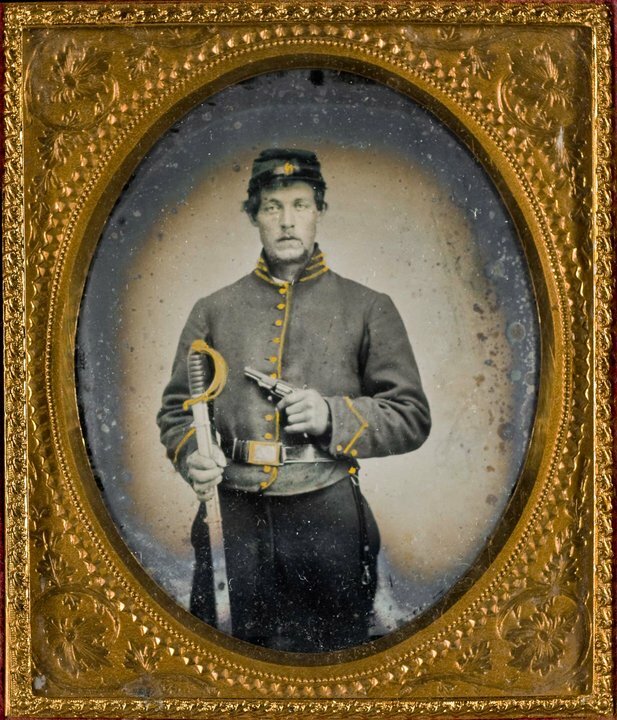 Union doctor Jed Foster’s wounded brother, Ezra, is a proud soldier of the 21st Virginia Infantry CSA. 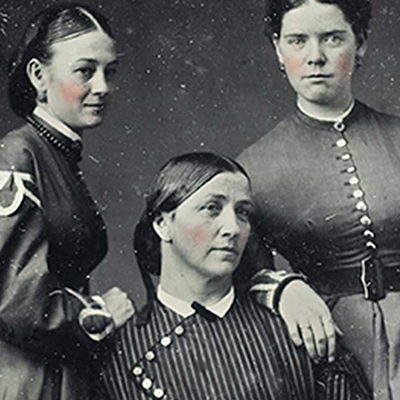 A member of the 4th Virginia Cavalry CSA is involved in espionage. 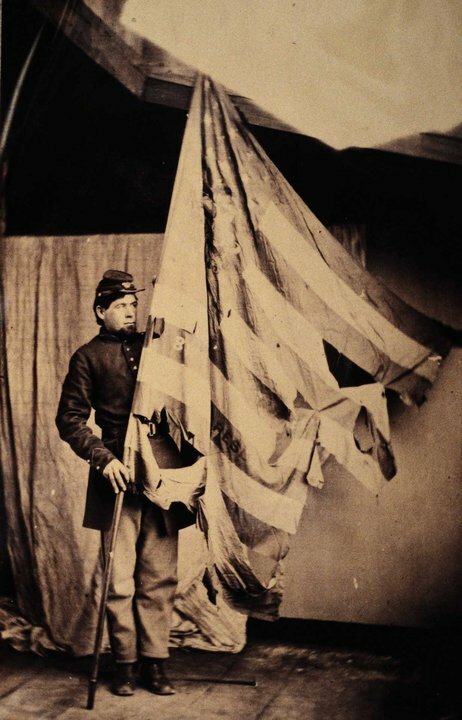 A young wounded soldier clinging to his unit’s flag epitomizes its significance. All believed the war would be over in a few months.